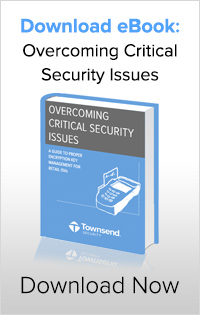 How Do You Plan to Overcome Critical Security Issues? When the PCI Security Standards Council released the Payment Application Data Security Standard (PA-DSS) in 2008, the security of payment applications took a big leap forward. 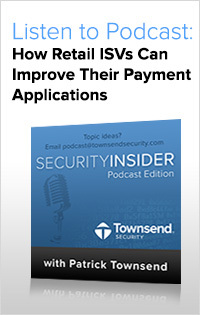 Today, All retail ISVs providing payment applications must certify their products with PA-DSS (which requires encryption and encryption key management for applications that process credit card data). Merchants expect this level of certification in payment applications they use, and their customers expect personal information to be secured. Yet time and time again we see news reports about retailers experiencing data breaches through their payment application software. These breaches tell us that PA-DSS certifications alone don’t always equal good security. In the rush to meet PA-DSS requirements for credit card encryption, many payment applications incorporated just enough technology to pass the certification requirements around encryption of sensitive data, but not enough to stay current with encryption key management best practices. The Advanced Encryption Standard (AES) is the standard when it comes to data encryption. AES has been adopted as a standard by the US government and is the recommended encryption method for PCI, HIPAA/HITECH, GLBA and individual state privacy regulations. Your encryption is only as good as how well you protect the encryption keys. Encryption keys should be secured away from the encrypted data using an external piece of hardware such as a hardware security module (HSM). Always use NIST validated AES encryption and FIPS 140-2 certified encryption key management. These certifications ensure that their key management has been tested by a third-party against government standards and will stand up to scrutiny in the event of a breach. With our NIST validated and FIPS 140-2 certified encryption and encryption key management solutions, retail ISVs can offer their customers easy, affordable, and powerful data security. Our dedicated team provides our partners with extensive training, back end support, marketing materials, and a cost effective licensing model. You focus on what you do best, and we’ll help you turn encryption and encryption key management into a revenue generating option to help build your business and protect your valued customers. We have more than 20 years of experience supplying encryption and key management solutions to over 3,000 companies worldwide. We help our customers achieve data privacy compliance at an affordable price and with a personalized touch. This eBook resource is designed to give you the tools and information needed to have a high-level discussion about data security in your company. Click the button below to request your complimentary download! 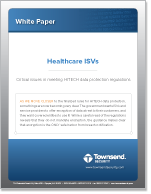 Download the white paper "Healthcare ISVs: Critical Issues in Meeting HITECH Data Protection Regulations." As we move closer to the finalized rules for HITECH data protection, some things are now becoming very clear. The government wants ISVs and service providers to offer encryption of data at rest to their customers, and they want covered entities to use it! While a careful read of the regulations reveals that they do not mandate encryption, the guidance makes clear that encryption is the ONLY safe harbor from breach notification. Your customers will interpret this as a mandate, and will start demanding encryption in your products and service solutions. We are already starting to see this happen. Encryption itself is not really the biggest technical challenge facing ISVs as they start to encrypt data in their application databases. Most operating systems, databases, and programming languages offer encryption libraries that you can use right off the shelf. For example, Microsoft provides encryption libraries in SQL server and the .NET language. Oracle offers similar support for encryption in their database. The really big challenge is encryption key management. 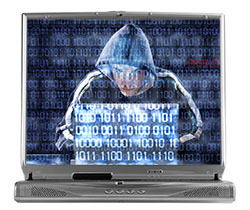 Encryption keys are the secrets that must be protected. Key management systems create, store, and protect keys from loss, and this will be the hardest thing to get right. The HITECH guidance is full of references to the National Institute of standards and Technology (NIST) for encryption standards and best practices. Advanced Encryption standard (AES) is the recommended technology for encryption. And the NIST recommendations for key management are the gold standard for key management solutions. Serious key management vendors submit their solutions to NIST for certification under the FIPS 140 protocol, and these vendors are easy to locate on the NIST web site. You will be tempted to push the responsibility for encryption and key management to an outside vendor. If it is really hard to do, why not let someone else do the job? You can refer your customers to the vendor for the solution, and the vendor can do the work of getting the database encrypted. It seems easy. Until you discover that your customers are not going to distinguish between your vendor and you when problems happen! You will be ultimately responsible for any problems with data protection. Many ISVs discover that finding the right partner for encryption key management solutions is the biggest hidden challenge in their projects. Not only is the technology very specialized, there are a small number of vendors who offer FIPS 140 certified solutions. You have to offer solutions to your customers that are easy to deploy and meet your product pricing objectives. What if you need a customized key management solution? Are there any vendors who are willing to help you with these requirements? 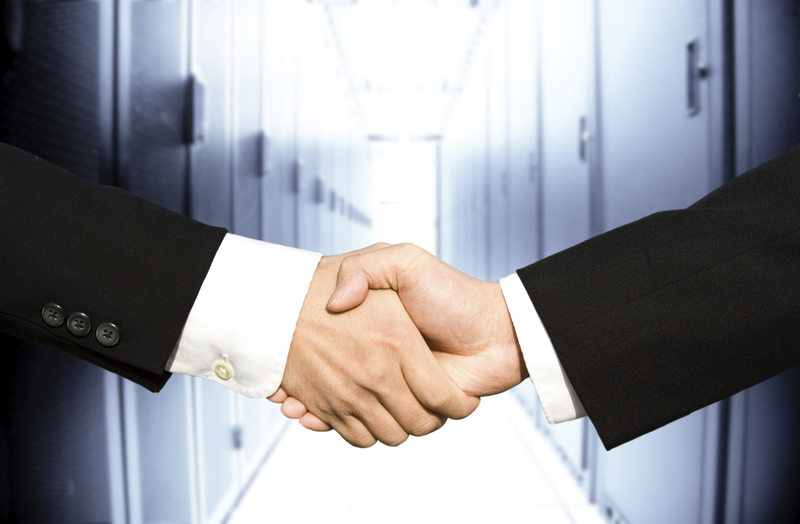 Finding the right partner is as important as finding the right technology. Visit our ISV Partner Program page for more information on becoming a partner or download our white paper titled Healthcare ISVs: Critical Issues in Meeting HITECH Data Protection Regulations.